WHAT MOTHER wants her grown son to move back home so he can pursue his dream of being a stand-up comic? Certainly not Dorothea ....who was enjoying her Florida retirement.... living in Wilton Manors with her live-in-love and two girlfriends! 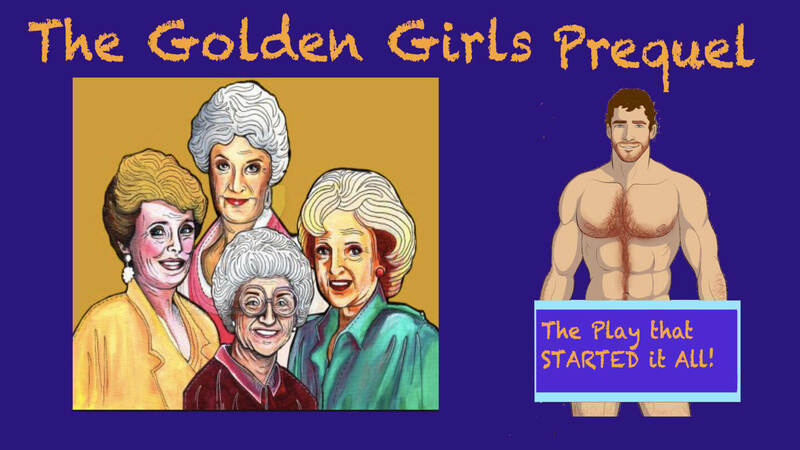 Believe it or not, this is the REAL story of The Golden Girls --- who skyrocketed to fame in 1985 with their hit TV show. Two years before they hit the airwaves, they were introduced to America by local playwright Ginger Reiter (The Jackie Mason Musical) ..... who told their tale in her play at The Barcelona Hotel in Miami Beach. Ginger's hilarious show was hand-delivered to some Hollywood bigwigs -it was presented as a skit - and the next thing you know, the Golden Girls concept was swept away from her. Come see The Golden Girls as they really were .....with one outrageous scene updated by Ronnie Larsen. FREE WINE! It’s been exactly 30 years since the world changed for the better and we gotta celebrate! The Emmy-winning hit sitcom Seinfeld ruled the zeitgeist in the '90s with its memorable bits and catch phrases. 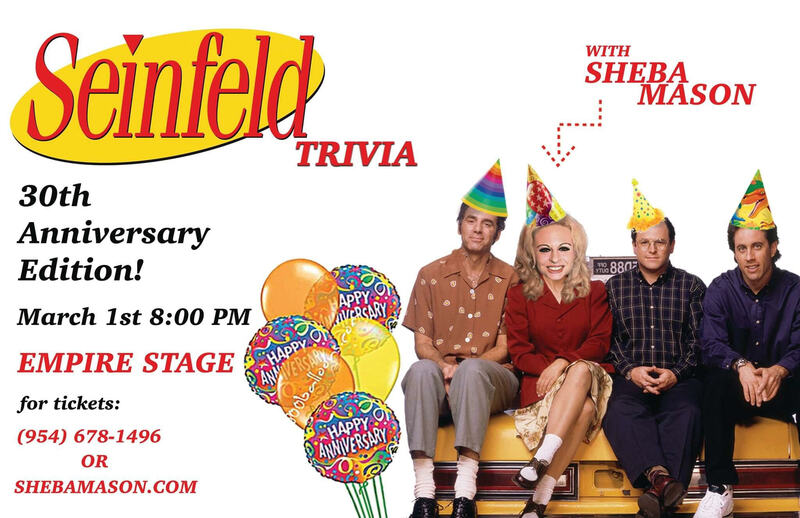 Join stand-up comic Sheba Mason (daughter of Jackie) and David R. Gordon for a trivia contest, complete with with free wine, shot rounds, and cash prizes, that'll test your grasp of such topics as "double dipping," "regifting," "man hands," "puffy shirts," "shrinkage" and "sparing squares," and such characters as Newman, Art Vandelay, Uncle Leo, Puddy and the Soup Nazi- not that there's anything wrong with that!